Tyson Fury could be stripped of his last remaining belt. 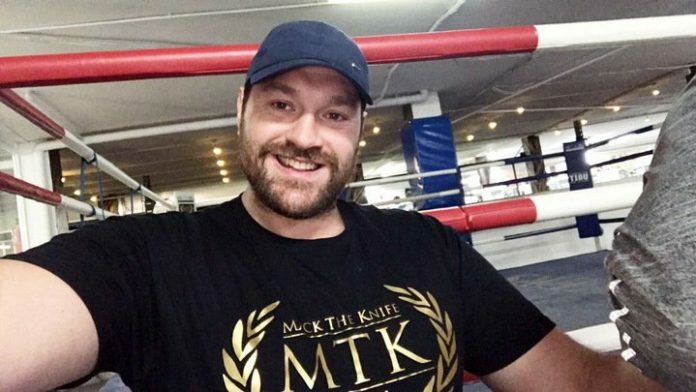 Lineal Heavyweight Champion Tyson Fury is at risk of having his Ring Magazine Heavyweight Title stripped if he does not schedule a fight by February. This was confirmed by Ring Magazine Editor-in-Chief Doug Fischer, who said he would seriously consider stripped Tyson’s belt if he didn’t return to the ring as soon as possible. This is going to be difficult for Fury as he still hasn’t renewed his boxing license with the BBBoC or any other Board of Control. Tyson has been out of the ring since beating Vladimir Klitschko in November 2015, following that he had the vast majority of his belts stripped from him including the WBA, IBF & WBO Belts two of which are now held by British Heavyweight Champion Anthony Joshua, the other by New Zealander Joseph Parker.